Whether placed in an entryway, kitchen, or seasonal porch, this three-tier table will provide ample use and give a nice design touch to your home as well. It features a black sunburst design at the top with its black metal composition. With its smaller size, its piece is a great solution for holding a telephone, plant, book or other small items. 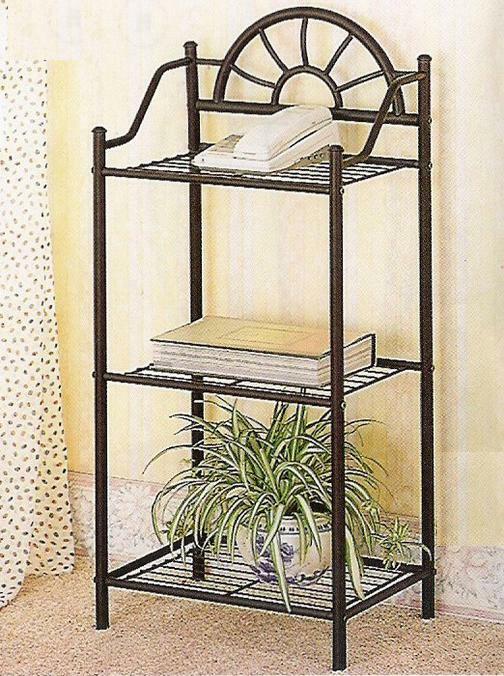 The Accent Stands Sunburst Three Shelf Telephone Stand by Rooms Collection Two at Rooms Furniture in the Houston, Sugar Land, Katy, Missouri City, Texas area. Product availability may vary. Contact us for the most current availability on this product.